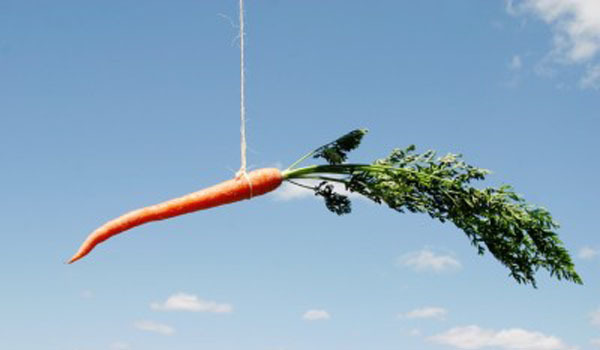 Are You Using Digital Marketing as a Carrot or a Stick? There is a reason I use the carrot so much in the imagery on my website, and even in my logo. I like carrots. They are colorful and healthy. Beta-carotene antioxidants fight cancer and Vitamin A improves your vision. Get it? Wink, wink. But what does any of this have to do with digital marketing? OK, not everyone loves carrots, but let’s pretend for a moment that your ideal customer is the proverbial donkey. Now you could use the “stick” of repeated advertising interrupting your customer’s pleasure time reading, watching TVs, streaming videos, listening to the radio, driving around town. Those are usually the activities that are interrupted with paid advertising, right? If you hit them with your message enough times, they will pay attention. Eventually. Maybe. Despite all the opportunities available to communicate differently with potential customers, some business owners use their websites as a sort of stick. There are sales messages all over the site and their marketing is augmented by pay-per-click advertising and sales campaigns sent by email. A business owner has far more control over the “carrot” of colorfully enticing and motivating information that is placed right in front of the “donkey” in the middle of its path. The carrot is obviously something the donkey desires, just like your customers do want to learn more about the solutions to problems they may face. Maybe this sounds overly simplistic, but this model of attracting, nurturing, and converting your customers into raving fans has proven successful in nearly any industry you can imagine. Even highly regulated industries of financial planners, attorneys, and medical professionals can offer educational background safely in the form of blog posts, ebook downloads, infographics, and ever-more impactful brief videos. Sure, I love to build WordPress websites and keep them at full optimization and functionality, but I have a specific area of genius to be tapped by professional firms and small businesses. 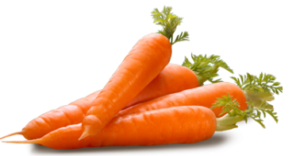 I help you identify and create just the right carrots to motivate your prospects. We measure the results and adjust the placement and calls to action to increase traffic and conversions. It’s a science; it’s an art. But it is never beyond the means and budget of an ambitious client who wants to grow. Behind any of my digital marketing consultations with clients is a general framework following this 6-step process. Analyze your ideal buyer personas to understand who they are, where they are, and what questions they seek to answer when looking for your professional services or business. Identify current resources to adapt for web content and blog posts. Establish a messaging plan with the appropriate calls to action to generate lead contact information. Develop a timeline of content generation, publication, and promotion to build results over time. Measure traffic, on-page behavior, and conversions to test ideas and tighten the plan for incremental improvement. If the carrot is of the correct substance and it is hanging clearling in front of the right donkey, we should be seeing results. Is it “Carrot on a Stick” or “Carrot and Stick”? Have you ever wondered about the origin of the “carrot on a stick” or “carrot and stick” metaphor? Here’s an interesting article that tells you more than you ever would have thought. It is crunchy, tasty and highly nutritious. Carrots are a particularly good source of beta-carotene, fiber, several B-vitamins, vitamin K, potassium and antioxidants. Carrot consumption has been linked to reduced risk of cancer and heart disease, and improved eye health. They may be a valuable component of an effective weight loss diet. Carrots contain many plant compounds, but the carotenoids are by far the best known. These are substances with powerful antioxidant activity and have been linked to improved immune function and reduced risk of many diseases. This includes cardiovascular disease, various degenerative diseases, and certain types of cancer. Beta-carotene: Orange carrots are very high in beta-carotene. The absorption is better (up to 6.5-fold) if the carrots are cooked. Lutein: One of the most common antioxidants in carrots, predominantly found in yellow and orange carrots and is important for eye health. Lycopene: A bright red antioxidant found in many red fruits and vegetables, including red and purple carrots. It may decrease the risk of cancer and cardiovascular disease. Polyacetylenes: Recent research has identified bioactive compounds in carrots that may help protect against leukemia and cancer cells.